Home / Stock Picks / Hot Stocks / J C Penney Co. Needs a Big Move — Like a Breakup? J C Penney Co. Needs a Big Move — Like a Breakup? The bleakest story of the Christmas season was offered by The Washington Post. It was the tale of a failing mall in western Pennsylvania and its last anchor, a J C Penney Company Inc (NYSE:JCP) store. The author profiled the woman at the jewelry counter, trying hard to deliver personal attention to Christmas shoppers to keep her job, and a former mall cop who now calls himself an assistant manager and is trying to get shops rented. The tone, however, is grim, as are the prospects for indoor shopping malls generally. If Stephen Sondheim were writing West Side Story today, he’d likely set it at a shopping mall. The best bargain at the mall, however, may be stock in J C Penney itself. The company should approach $13 billion in sales for the year, but the stock is valued at just $1 billion. Penney’s position as an “anchor tenant” at mainstream shopping malls has been frustrating all of CEO Marvin Ellison’s efforts at reinvention since the former Home Depot Inc (NYSE:HD) and Target Corporation (NYSE:TGT) took command in August, 2015. Ellison has tried some things, like pop-up stores dubbed Jacques Penne with curated gift collections. But numbers don’t lie. Penney’s may bring in 42 cents per share of earnings for the Christmas quarter when it reports Feb. 9, but it will still have a loss for the year. Ellison deserves praise for saving the company, which looked about to go under when he came on board. But long-term debt is still half of assets, and cash flow has been strongly negative for two of the last three quarters. He hasn’t saved the store. When Santa Claus isn’t in town, Penney’s is nowhere. More retail shops are expected to close in 2018 than even in 2017, which was dubbed “retailmageddon.” USA Today recently put JC Penney on its death watch. Thus, nearly all analysts following the stock have a wait-and-see or “neutral” rating on the shares. Penney’s is not yet dead, as I wrote last month, but it is not at all well, as Vince Martin wrote. The best move for Ellison may be to break up the store. Stop trying to be a full-line department store. Downsize remaining units and rename them, then open new stores for items like tools or cooking elsewhere. Instead of being a single mainstream retailer, become a chain of specialty shops. That, of course, is the spitballing brainstorm of a single journalist. That’s not a strategy. It certainly doesn’t appear to be Penney’s strategy. Or is it? At least online, Ellison is trying to specialize. The company recently launched a “subscription” service for big and tall men, partnering with Bombfell, a company that knows that business. Breaking up the store online, creating new brands and new ways to buy, might work. Downsizing, creating units that sell just cookware, or appliances, creating new brands that work online, seems like a viable strategy. But Ellison would have to commit to such a strategy for it to move the stock. So far, he has been trying things, experimenting. Penney’s needs a complete reinvention. If Ellison were to announce one, or even rumored to be about to announce one, a speculator could make money on Penney shares. Barring that, it’s dead money. 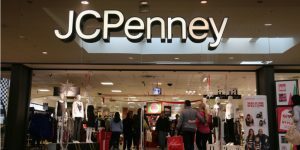 Article printed from InvestorPlace Media, https://investorplace.com/2018/01/j-c-penney-co-jcp-break-up-penneys/.